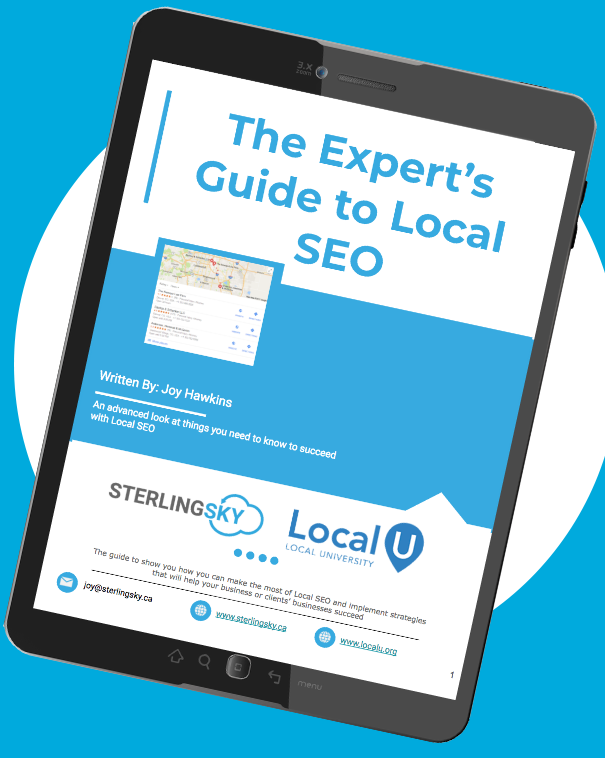 We were recently alerted on Twitter by Kerry that Google has added four VERY important words to the eligibility requirements around virtual offices on Google My Business and Google Maps. 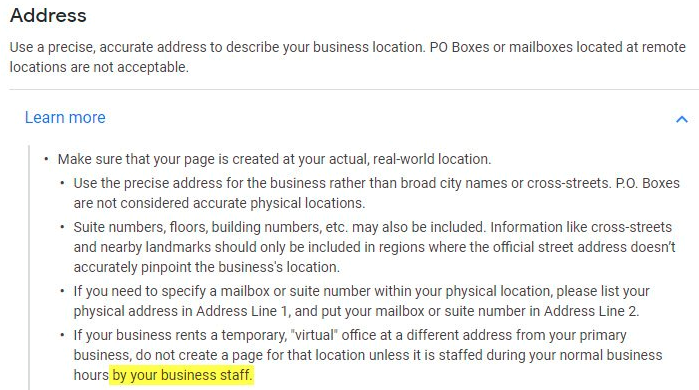 If your business rents a temporary, “virtual” office at a different address from your primary business, do not create a page for that location unless it is staffed during your normal business hours by your business staff. This particular rule seems to be one that most business owners have a tough time grasping. Most business owners think that having the virtual office staff on-site is enough since they can forward calls and book appointments. This update finally makes it explicitly clear that this is not enough and you must have your own staff on-site in order to qualify for a GMB page at a virtual office. Interesting.. but how is Google going to determine whether or not the member of staff is paid by yourselves, or by the virtual office operative? Surely they can’t determine if it is your business staff or not. I agree that it’s really hard to prove which is why I would suggest just avoiding virtual office locations period. I’ve found that normally it’s very hard to convince GMB to reinstate a listing if it shares an address with a virtual office service. Wondering why they just don’t go ahead and ban Regus office addresses. It runs rampant throughout the states. Hi Greg, They pretty much have done this without explicitly saying so. Even if you have your own staff on-site you are still more than likely to get suspended at some point. Nice article Colin. I’ve heard they don’t allow ipostal addresses either, but I have not confirmed that. Do you know? Confirmed. You can not use a PO Box as an address in GMB. This article is helpful to me as a virtual business owner and I am sure many other businesses that have not heard of this before. I have in the past used a PO box as an address for GMB, I am glad I know that I cannot use this anymore. Thanks for the info! As someone who has an international staff and uses Wework offices it sounds like it is appropriate to use the address if we have staff there that are willing to receive customers. Is there a way to reduce suspension risks by self reporting staffing contact info for each branch to Google? Or are there other options? As a rapidly expanding company that has to hire the talent where it can get it co location is a really good option. It does not seem like we should be penalized on search. Hi Ron, using a known coworking space or virtual office will always be risky even if you are using it in accordance with the GMB guidelines. To lower the chance of your listing being suspended I would upload photos and videos to your GMB and website that make it clear that you have your own staff at these locations. The only real evidence Google looks at are things like photos & videos. If you have an area in the wework that is “yours” that you are at constantly every day that you’re listed as open – that would be allowed. The problem with most coworking spaces is that people work at them at random hours and not consistently and that type of set-up is not allowed on GMB.